When THQ Nordic announced to have acquired the Kingdoms of Amalur IP last week, everyone’s mind quickly jumped to a possible remaster or remake of Reckoning for the latest consoles. That’s for good reason, as it was the standard modus operandi THQ Nordic used after its numerous acquisitions in the past few years. Speaking with Eurogamer, though, a THQ Nordic representative confirmed that the process may be more complex this time around. That’s because Electronic Arts, which published Kingdoms of Amalur: Reckoning when it launched in 2012, still retains the publishing rights to the game. 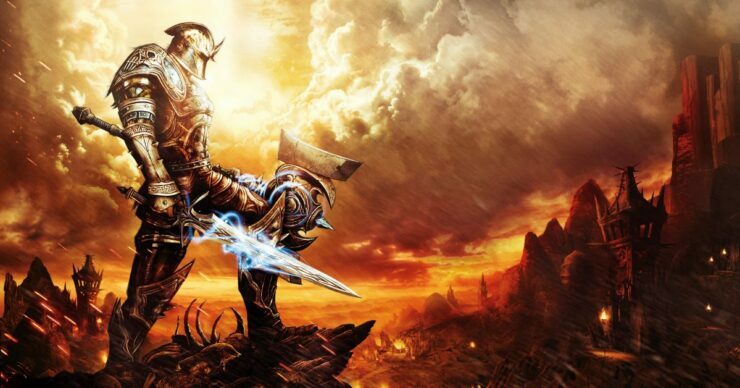 EA still has the publishing rights to Kingdoms of Amalur: Reckoning. About any other details about the relationship between EA and 38 Studios we can’t comment. At this stage, we ‘only’ acquired the intellectual property. Given our track record, we know what the burning questions (remaster, remake, port to current-gen systems etc.) are, but we decided do not answer those specifically as we tend to put our heads together first and then do our homework, and only start to talk about anything once we feel confident and very familiar with the franchise. It looks like a remaster or remake of that game would first have to get the green light from Electronic Arts, then. Furthermore, THQ Nordic is still evaluating all possibilities for their newly acquired IP, so any decision will probably require some time yet. In fact, looking back at the publisher’s recent acquisitions, we can see that it took more than a couple years before the Darksiders IP (acquired in 2013 from the now-defunct HQ) was put to good use with the Warmastered and Deathinitive editions of the first two games, with Darksiders III now due to launch on November 27th for PC, PlayStation 4 and Xbox One. Let’s sit tight while they figure it out.